Celebrate this Mother’s Day with a day full of fun! There are many different events that are taking place so finding the right one for mom will be easy. Celebrate this special day with your mom at the Mother’s Day Expo. Enjoy listening to the live band 3 J Blue and DJ Kenny B. There will be vendors, photographer, drink specials, full buffet, and raffles. Bring your mom and enjoy a nice ladies’ night out. Dress code is classy (no athletic wear). Must be 21 or older to attend this event. Come out with your mom and enjoy a night of drinks and painting! There will be the areas local singer and comedian, food, and there will also be a drink special of unlimited Tequila Sangria. We saved the best part for last, there will be a beautiful table of all different kinds of candy that will await you when you arrive. All the art supplies are included and you get to take home your masterpiece. Celebrate the Mothers in our lives at Dejon’s annual Lovestory Mother’s Day. Spend and unforgettable day with the high energy duo Lovestory. This husband and wife team will entertain you with their amazing renditions of Motown, Jazz, and Soul. Don’t miss out on Lovestory! This event is scheduled in the wine tasting venue. A food vendor will be on site. The annual Fine like Wine Festival will take place just before Mother’s Day on May 13thwith two sessions. Session one will take place 11am-3pm and session 2 will take place 4pm-8pm at the Maryland State Fairgrounds. The first hour of each event is the VIP hour. Mom will feel even more special if you purchase VIP tickets. Have extra time to taste fine wines without having to wait in line. Also, there are special menu options for VIP guests along with their special bags and flowers for mom. All attendees must be 21. Start your Mother’s Day weekend with winetasting and delicious foods! The wine tasting will include a selection of 7 Boordy wines, both reds & whites. All moms will receive a special gift at the end! You may bring a picnic or purchase delicious food from Lib’s Grill and local ice cream from Keyes Creamery. Guests over 21 will receive winetasting and wineglass. For 364 days a year, moms everywhere balance jobs, kids, households and more. This Mother’s Day, give Mom a break and show her how cherished she is with a sumptuous prix-fixe brunch at Fleming’s Prime Steakhouse & Wine Bar. For $34.95 per person*, families can enjoy three courses of classic brunch dishes and Fleming’s favorites. In addition, an eye-opening brunch cocktail, Blood Orange Fizz, will be available, as well as Fleming’s traditional a la carte menu. As thanks for their hard work, mothers will receive a complimentary $25 Dining Card** to enjoy on a future occasion. Treat your mom to a special Mother’s Day at Rusty Scupper! Rusty Scupper will honor mom’s with a special brunch beginning at 9:30 AM (three seating’s available) and a special dinner menu featuring Rusty Scupper’s classic dishes. Reservations are required for brunch and encouraged for dinner. Rusty Scupper has a special menu for Mother’s Day. Take your mom for a nice lunch at Ruth’s Chris Steakhouse. 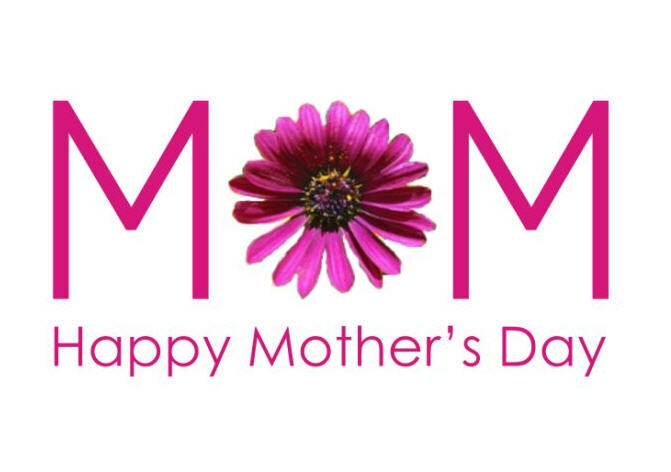 Celebrate your mom by treating her to a special lunch starting at noon. They are featuring two special dishes; Filet & Twin Tails which include two cold water lobster tails with your choice of 6-ounce or 8-ounce filet. The other special is Ribeye & Twin Tails which include two cold water lobster tails with your choice of a 12-ounce or 16-ounce ribeye. Also, throughout the month of May they will be featuring the wine Franciscan Estate Sauvignon Blanc. Mom’s will receive a gift card for $25 on May 13th and May 14th. Spoil Mom with Family, Friends & Our Delicious Brunch! Every Mother will be Treated to a Complimentary Chocolate Dipped Strawberry!